Scientific approach — best solutions. Taking a classical model of the capital management as the basis, we have added a number of innovations that have helped us to create a technology, which uses the potential of financial markets at most. Our Customers have an opportunity to use trading platforms, which ideally combine high-level modern technical standard requirements and the Company’s innovative solutions. The accessibility of an ECN system has enabled individual traders with a small amount of capital to become part of the financial market. We provide our Customers with services to execute trades in the financial market. We have made every effort to enable you to deposit and withdraw funds easily. UBK Markets provides the immediate acceptance and execution of Customers’ trading orders. We work only with the best liquidity providers. understand core features of our work. and our specialist will contact you. UBK Markets Ltd (Reg. number: НЕ 293861. Address: Spyrou Kyprianou 67, Flat/Office 2, 4003, Limassol, Cyprus). UBK Markets Ltd is regulated by the Cyprus Securities and Exchange Commission CySEC (License No. 186/12) and operates in accordance with MiFID, the Markets in Financial Instruments Directive of the European Union. Representative office of SIRIUS L.P., with registration number 1304691681, having its registered office at 10/55 Mikayil Mushfig str., Baku, Azerbaijan. Risk notification: information on this website is intended for professional, private, and corporate investors, as the trade in financial markets carries the risk of losing some or all of your investments. In case of any doubts about the trade or usage of capital management technologies, it is strongly recommended to consult a professional financial advisor. UBK Markets does not provide financial services to citizens of the United States, Cuba, Syria, Sudan and North Korea. CFDs are complex instruments and come with a high risk of losing money rapidly due to leverage. Between 60%-78% of retail investor accounts lose money when trading CFDs. You should consider whether you understand how CFDs work and whether you can afford to take the high risk of losing your money. 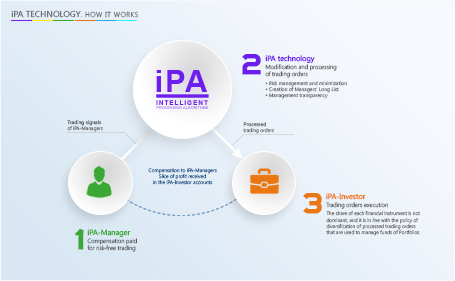 When providing the iPA service to Customers, UBK Markets does not represent any party of asset management, does not accept and manage funds of the Customers that use the iPA service. The profits received in the past do not guarantee the profits in the future.